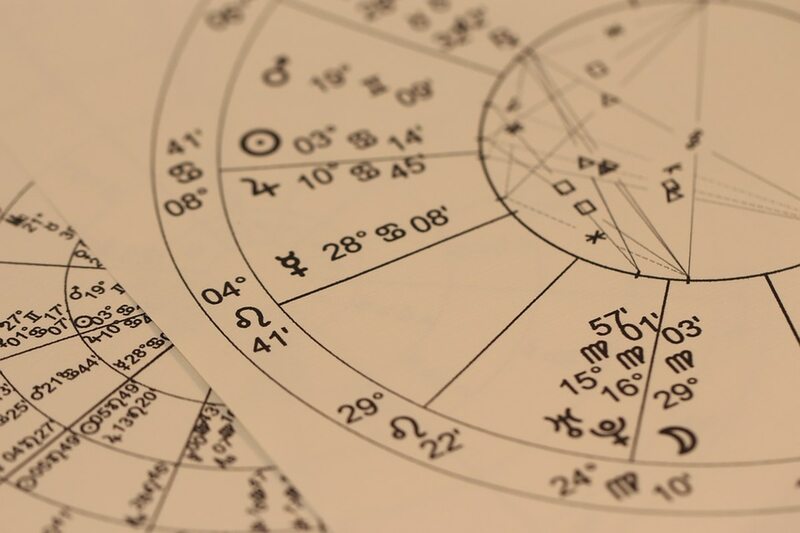 Your Weekly Horoscopes Are Here. And it’s Time For an Adventure, Aries. ARIES (March 21-April 19): Every year the bird known as the Arctic tern experiences two summers and enjoys more daylight than any other animal. That's because it regularly makes a long-distance journey from the Arctic to the Antarctic and back again. Let's designate this hardy traveler as your inspirational creature for the next eleven months. May it help animate you to experiment with brave jaunts that broaden and deepen your views of the world. I don't necessarily mean you should literally do the equivalent of circumnavigating the planet. Your expansive adventures might take place mostly in inner realms or closer to home. TAURUS (April 20-May 20): When the American Civil War began in 1861, the United States fractured. Four years later, the union was technically restored when the northern states defeated the southern states. At that time, African American slavery became illegal everywhere for the first time since the country's birth decades earlier. But there was a catch. The southern states soon enacted laws that mandated racial segregation and ensured that African Americans continued to suffer systematic disadvantages. Is there a comparable issue in your personal life? Did you at sometime in the past try to fix an untenable situation only to have it sneak back in a less severe but still debilitating form? The coming weeks will be an excellent time to finish the reforms; to enforce a thorough and permanent correction. GEMINI (May 21-June 20): Does an elusive giant creature with a long neck inhabit the waters of Loch Ness in northern Scotland? Alleged sightings have been reported since 1933. Most scientists dismiss the possibility that "Nessie" actually exists, but there are photos, films, and videos that provide tantalizing evidence. A government-funded Scottish organization has prepared contingency plans just in case the beast does make an unambiguous appearance. In that spirit, and in accordance with astrological omens, I recommend that you prepare yourself for the arrival in your life of intriguing anomalies and fun mysteries. Like Nessie, they're nothing to worry about, but you'll be better able to deal gracefully with them if you're not totally taken by surprise. CANCER (June 21-July 22): Does moss really "eat" rocks, as Cancerian author Elizabeth Gilbert attests in her novel The Signature of All Things? Marine chemist Martin Johnson says yes. Moss really does break down and release elements in solid stone. Gilbert adds, "Given enough time, a colony of moss can turn a cliff into gravel, and turn that gravel into topsoil." Furthermore, this hardy plant can grow virtually everywhere: in the tropics and frozen wastes, on tree bark and roofing slate, on sloth fur and snail shells. I propose that we make moss your personal symbol of power for now, Cancerian. Be as indomitable, resourceful, and resilient as moss. LEO (July 23-Aug. 22): Let's shout out a big "THANKS!" and "HALLELUJAH!" to the enzymes in our bodies. These catalytic proteins do an amazing job of converting the food we eat into available energy. Without them, our cells would take forever to turn any particular meal into the power we need to walk, talk, and think. I bring this marvel to your attention, Leo, because now is a favorable time to look for and locate metaphorical equivalents of enzymes: influences and resources that will aid and expedite your ability to live the life you want to live. VIRGO (Aug. 23-Sept. 22): "Every dreamer knows that it is entirely possible to be homesick for a place you've never been to, perhaps more homesick than for familiar ground," writes author Judith Thurman. I'm guessing you will experience this feeling in the coming weeks. What does it mean if you do? It may be your deep psyche's way of nudging you to find an energizing new sanctuary. Or perhaps it means you should search for fresh ways to feel peaceful and well-grounded. Maybe it's a prod to push you outside your existing comfort zone so you can expand your comfort zone. LIBRA (Sept. 23-Oct. 22): Venice, Italy consists of 118 small islands that rise from a shallow lagoon. A network of 443 bridges keeps them all connected. But Venice isn't the world champion of bridges. The American city of Pittsburgh, Pennsylvania holds that title, with 446. I nominate these two places to be your inspirational symbols in the coming weeks. It's time for you build new metaphorical bridges and take good care of your existing metaphorical bridges. SCORPIO (Oct. 23-Nov. 21): To aid and support your navigation through this pragmatic phase of your astrological cycle, I have gathered counsel from three productive pragmatists. First is author Helen Keller. She said she wanted to accomplish great and noble things, but her "chief duty" was "to accomplish small tasks as if they were great and noble." Second, author George Orwell believed that "to see what is in front of one's nose" requires never-ending diligence. Finally, author Pearl S. Buck testified that she didn't wait around until she was in the right mood before beginning her work. Instead, she invoked her willpower to summon the necessary motivation. SAGITTARIUS (Nov. 22-Dec. 21): Blackjack is a card game popular in gambling casinos. In the eternal struggle to improve the odds of winning big money, some blackjack players work in teams. One teammate secretly counts the cards as they're dealt and assesses what cards are likely to come up next. Another teammate gets subtle signals from his cardcounting buddy and makes the bets. A casino in Windsor, Ontario pressed charges against one blackjack team, complaining that this tactic was deceptive and dishonest. But the court decided in the team's favor, ruling that the players weren't cheating but simply using smart strategy. In the spirit of these blackjack teams, Sagittarius, and in accordance with astrological omens, I urge you to better your odds in a "game" of your choice by using strategy that is almost as good as cheating but isn't actually cheating. AQUARIUS (Jan. 20-Feb. 18): If you want to play the drinking game called Possum, you and your friends climb up into a tree with a case of beer and start drinking. As time goes by, people get so hammered they fall out of the tree. The winner is the last one left in the tree. I hope you won't engage in this form of recreation anytime soon—nor in any other activity that even vaguely resembles it. The coming weeks should be a time of calling on favors, claiming your rewards, collecting your blessings, and graduating to the next level. I trust your policy will be: no trivial pursuits, no wasted efforts, no silly stunts.